Like the other bits of your body, everyone has a different sized head. If we were to make a sweeping generalisation, the average size of women’s heads is 57cm and men’s average head size is 58cm. 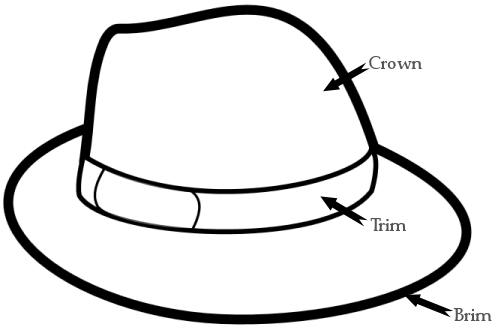 Though, there is a large variance – so best measure your head so you can choose the right size hat. If possible, use a flexible tailors measuring tape and wrap it around your head at the point where a hat sits on your head – about 1cm above your ears. Don’t let it fall down at the back of your head, and make sure it’s not too tight. If you don’t have a flexible measuring tape, you can use string, ribbon or… a shoe lace (?) then measure it with a ruler once it’s off your head. If a hat is a little roomy, you can insert some felt or foam strips behind the sweat band and it should make it perfectly snug. We can send you strips if required – just let us know. St Saviours hats are measured in centimetres (cm). For sizes outside those detailed above, please contact us to discuss your requirements.